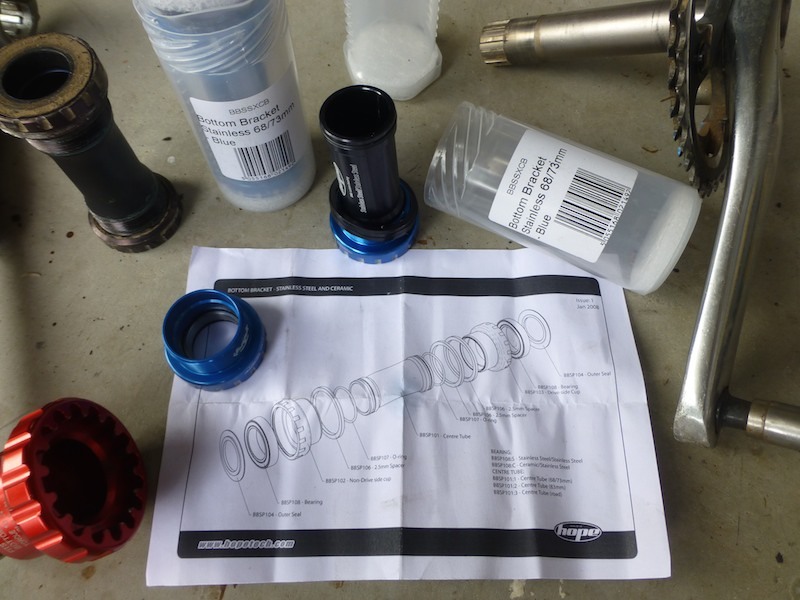 I replaced both bottom Bracket Bearing with new HOPE stainless steel bearings. 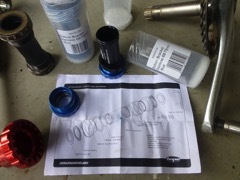 The front is an eccentric Bottom Bracket and it is 68mm wide. There was some slight wear on the crank arm bearing surface on the front left bearing face.